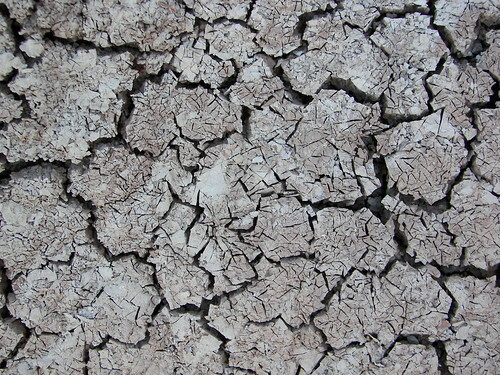 Well, I tripped over a fossil (it must have been!) and bloodied my silly knee but it was all worth it for this stunning view of the lower grasslands, the vanishing topography of the lower White River Badlands and Cedar Pass (where the Ben Reifel Visitor Center and my own apartment are located). Hawks screeched overhead, and a golden eagle drifted above my head while I sat in March sunlight, writing. The Notch Trail takes you up a short streambed (muddy, as it is currently flowing), and into a “canyon” where there is a ladder (chunks of logs strung together with metal cables) provided for scaling the wall. 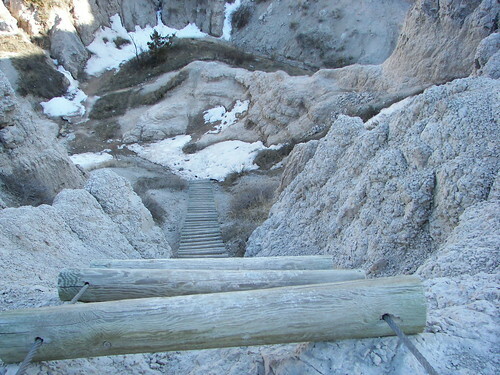 I can’t really say the rope ladder was difficult especially since the mule deer use it! 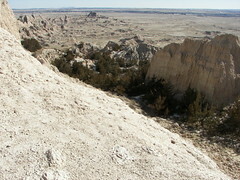 But it was easier going up than coming down, which seems to be the rule throughout the Badlands. 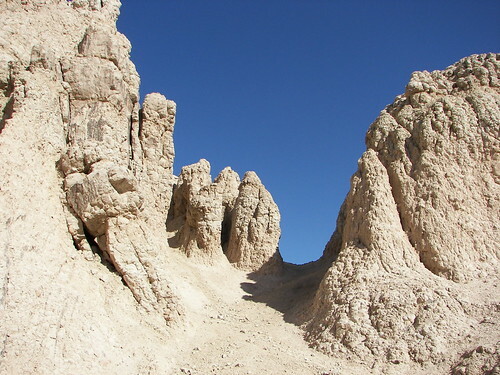 The walls seem bone dry, yet they are all dripping meltwater from secret rill channels, which consolidate to form tiny streamlets, eroding surfaces further as they quickly and musically run down-slope, creating a stream that drops into the lower canyon in a tinkling waterfall, and sounds like a wind-chime of fossil bones. 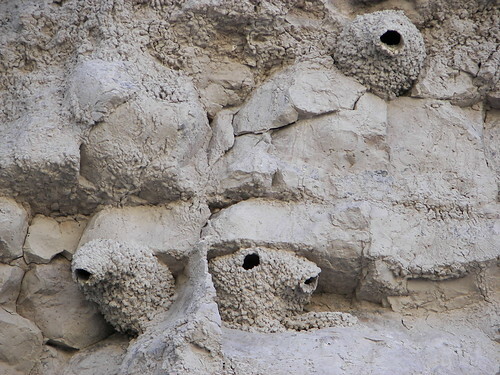 There is another sound, too, which I can only describe as a constant rain of pebbles, gently sliding down the walls where the sediments are actively eroding. 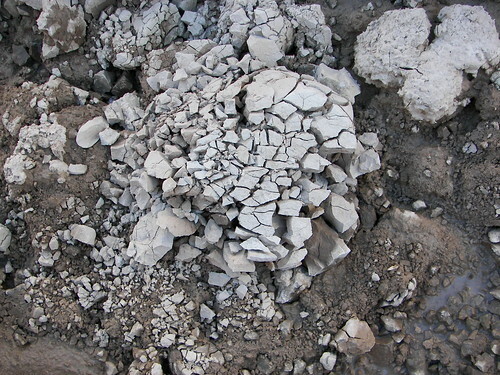 Many times, the “stone” crumbles underfoot, like clods of dry clay turned over by plowing the season before (I grew up on a farm, so this image makes sense to me, having walked many a plow furrow). 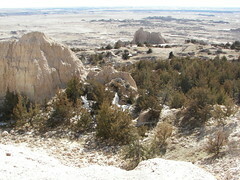 The Notch trail hugs the edges of Millard Ridge, until reaching this stellar “notch” view of the landscape far below. The sunlit cliffs danced with shadows of birds in flight… with an owl of some sort hidden nearby in a ravine, hoot-hooting as the afternoon began to cool. 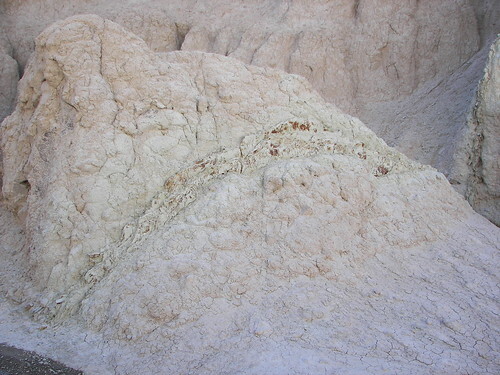 The walls are cut through with greenish clastic dikes which can be traced, from formation to formation, like ribbons glued onto the stones (although the dikes are actually inclusions, and cut right through). 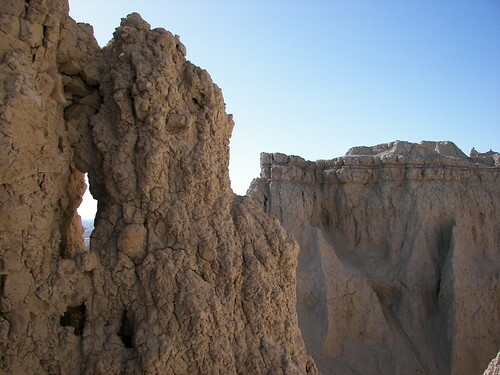 A terrific hike, with stone pages cracked open like a textbook for anyone to read.